I have been working on hand drawn collages (80 x 80cm), preparatory work for large scale screen-printed collages on board. Lot’s of lines…….. I have been working on a series of drawings and quick collages as preparatory work for some new screen prints. I plan to make some prints in small editions this autumn. I am enjoying exploring the interconnected languages of line, composition, colour, texture and 3 dimensional space within the picture plane. I moved into a wonderful new studio in April 2018 at Grays Wharf, Penryn. There are 9 studios, home to a mixture of painters, photographers, ceramicists and illustrators. Over the last few months I have been working on a series of collages with acrylic paint and screen-prints on board. over the autumn I will be working on a screen-printed edition. I have finished a new group of experimental screen prints. Each is unique within the group. The prints have multiple printed layers exploring overprinting, transparency and colour relationships. 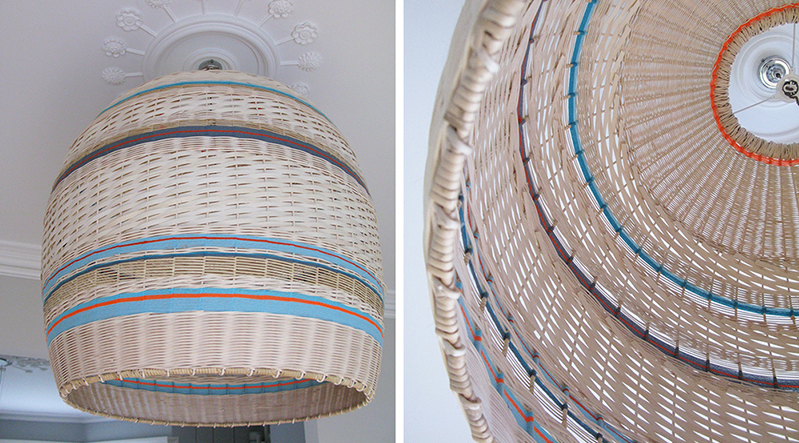 They are exploratory work, developing a way of working and thinking through making. Plans for the new year will be more printing, for use in collage combined with painting, working on paper and board. More images on my Current Work page here. I have been mixing colours for printing this week, it's lovely having a wall of colour in my workspace. I spent a wonderful week on the 'Abstract Painting, Falmouth school of Art Intensive' at Falmouth University, earlier this month. I was exploring combining collage with paint. I took along some imagery I had printed from my drawings, and worked these into a composition with painted areas. I plan to develop this further in 2018, working with printed collage and paint on board. For more images click here. After 6 months of pens, ink, scalpel and glue, I have now scanned all my collages and drawings. The images have then been printed onto acetate ready to be transferred to screens for screen-printing. 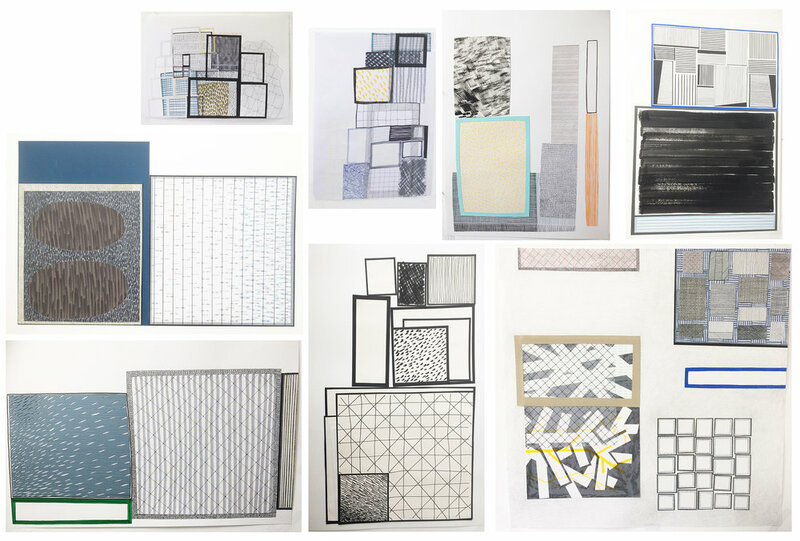 Over the last month I have been working on a series of collages to transfer to screens for screen-printing. Studio space ready to go! 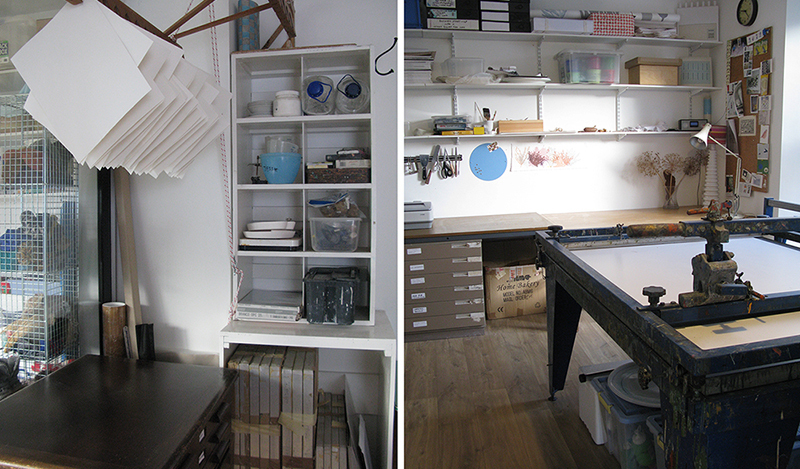 After many months of renovations my studio space is now ready for action!